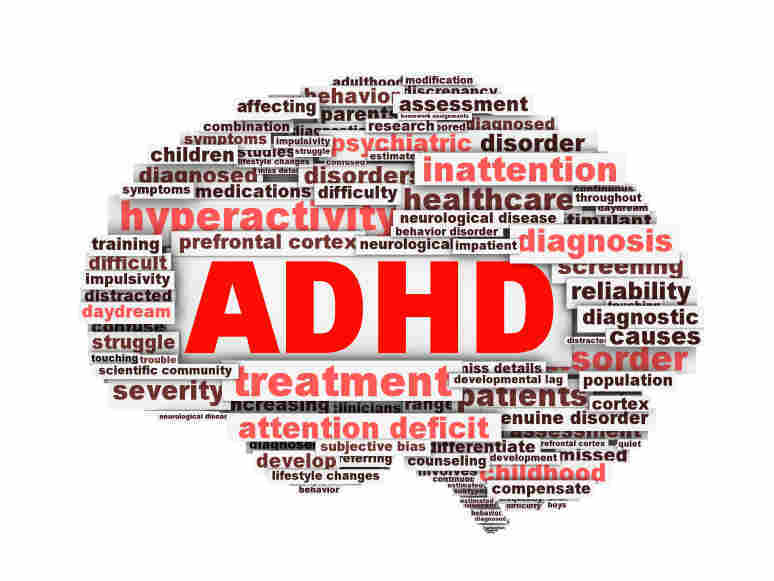 More Children Are Being Medicated For ADHD Than Before : Shots - Health News The number of children diagnosed with attention deficit hyperactivity disorder has been rising since the 1990s. Now, the CDC reports that two-thirds of children with a current diagnosis are being medicated — a jump of 28 percent from 2007 to 2011. The number of children being diagnosed with attention deficit hyperactivity disorder is on the rise, according to the Centers for Disease Control and Prevention. And families increasingly are opting for medications to treat kids. Two-thirds of children with a current diagnosis are being medicated — a jump of 28 percent from 2007 to 2011. ADHD is marked by attention problems and impulsive behavior. About 11 percent of children in the United States between the ages of 4 and 17 have been diagnosed with the condition at some point, CDC researchers found, compared with 7.8 percent a decade earlier. In 2007, 7 percent of children had a current diagnosis of ADHD, compared with 8.8 percent in 2011. The condition is more prevalent among high school boys than girls, and there are significant regional differences in rates of diagnosis. For instance, an estimated 15 percent of kids in Arkansas have had an ADHD diagnosis, compared with 9 percent in Maryland and 5 percent in Nevada. CDC experts say that when children diagnosed with ADHD receive proper treatment, either with medication or therapy, they have the best chance of doing well at school and getting along with peers and families. Parents were first surveyed about ADHD and their children in 1997. Since then there has been a clear upward trend in the number of parent-reported ADHD diagnoses. According to the CDC, it's not clear if that's due to an increase in the number of children who actually have ADHD, or in the number of children diagnosed. The number of medications used to treated ADHD increased in the 1990s, when easier-to-use, long-acting formulations were introduced. The study was published in the Journal of the American Academy of Child and Adolescent Psychiatry.